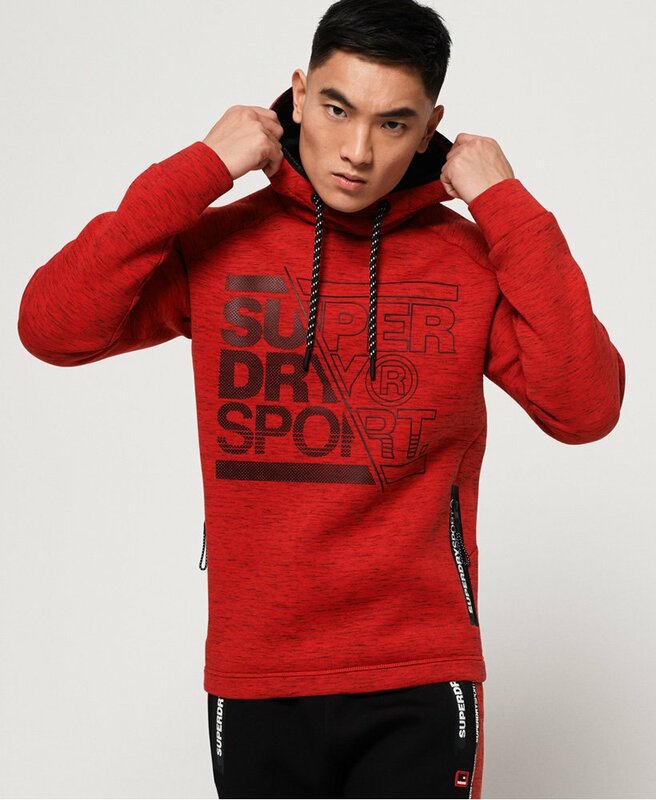 Superdry men's Gym Tech stretch graphic overhead hoodie. A must have in your gym bag to wear post workout, this overhead hoodie features a drawstring adjustable hood, front pouch pocket with two zip fastenings and large Superdry Sport graphic across the chest. This Gym Tech overhead hoodie is completed with Superdry Sport detailing on the zip and a small logo badge on one sleeve.